In this section of the website I cover topics about everything related to the betting industry such us value betting, arbitrage, staking, bettors psychology and others. One of the most important cornerstones in betting is the correct money management. You have to master that skill in order to achieve long term profits. 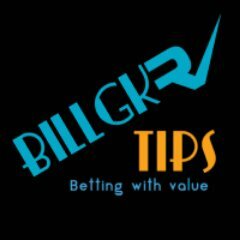 Bet tracking – Why is it that important? Bet tracking is one of the most important aspects of betting. Every bettor who wants to succeed in the long run needs to constantly track and analyze his bets. Bookmakers make a lot of promotional offers to attract new customers and to reward their existing ones. Learn what are the main types of bonuses you can have when opening an account with a bookmaker and making a deposit. Middle is a potentially very profitable situation that can occur in sports arbitrage betting. A middle is a situation where if the match ends with a certain outcome, you can win both bets. Matched betting is one of the best ways to earn from betting but there are some problems that bettors have to deal with. Find out more about the pros and cons of matched betting.